﻿Published by Sareth Ney on April 4, 2018 at 4:47 p.m. 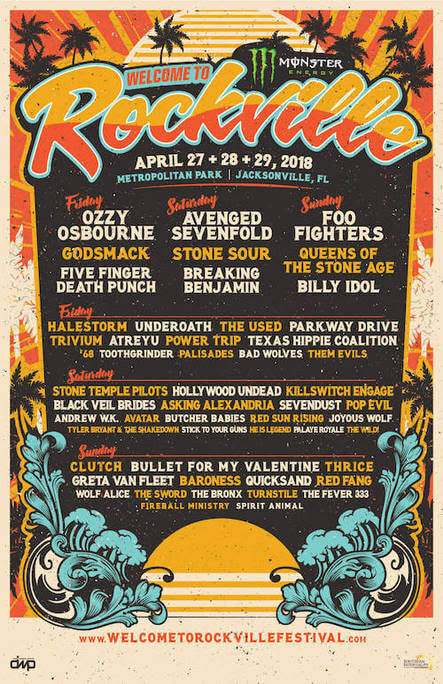 Updated by Sareth Ney on April 7, 2018 at 7:25 p.m.
JACKSONVILLE, Fla.— Monster Energy Welcome To Rockville set times have been announced. The festival will take place at Metropolitan Park, from April 27 through April 29. 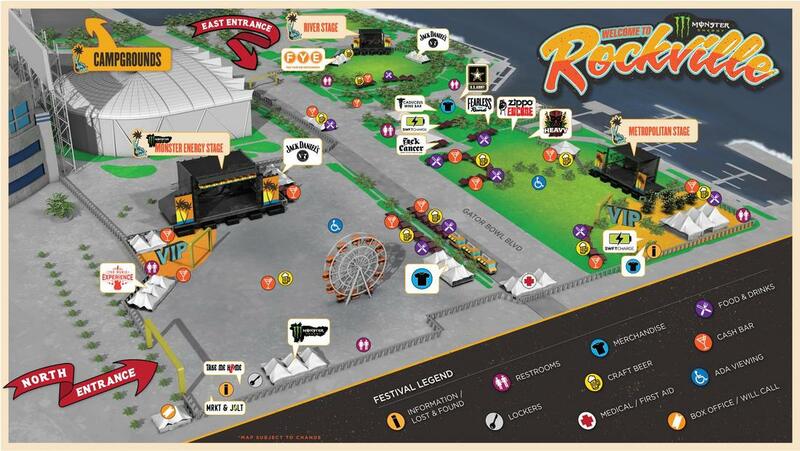 There will be more than 50 bands and three stages. The times and lineup are subject to change. 1:05 p.m. - The Wild! 8:35 p.m. - Andrew W.K. Doors open at noon, on April 27. 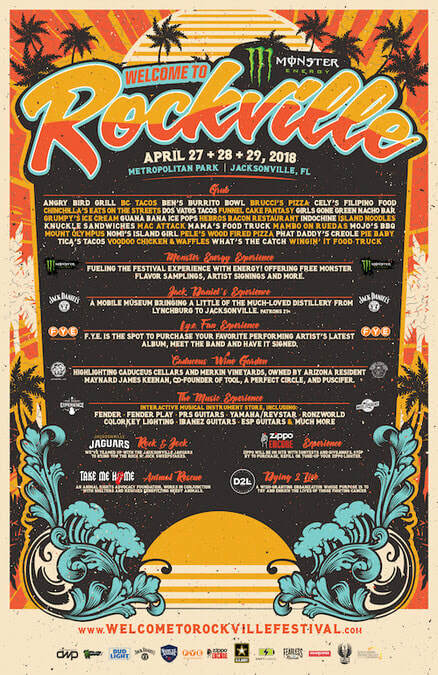 On April 28 and 29, they will be opening at 11 a.m.
Official sponsors of Monster Energy Welcome To Rockville include: Bud Light, Samuel Adams, Three Olives Vodka, Kraken Black Spiced Rum, Jose Cuervo Tequila, F.Y.E., Jack Daniel’s, Zippo, SWFTCharge, The Music Experience, US Army, Fearless Records, Roadrunner Records, Rise Records, Fxck Cancer/Dyin 2 Live, Take Me Home, Love Hope Strength, Jacksonville Jaguars and Southern Hospitality Concessions LLC. It is produced by Danny Wimmer Presents. Tickets to attend Monster Energy Welcome To Rockville are still available and there are limited amounts. They can be purchased at www.welcometorockville.com.